MURPHY, John Patrick of East Falmouth formerly of Watertown and Sneem, County Kerry. April 3, 2019. Age 62. Beloved husband of Mary Ellen (Manning) Murphy. Devoted father of Daniel Murphy & his wife Amanda of Leominster, Michael Murphy of E. Falmouth, Mairead Murphy of Watertown, and John Murphy & his wife Tina of E. Falmouth. Loving son of Eileen (McCrohan) & the late Mikey Paul Murphy. Dear brother of Helen McCarthy, Monica Lynch, & Joan O’Leary all of Kenmare, County Kerry. 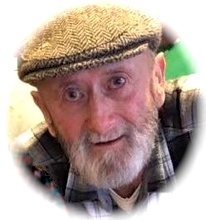 Funeral from the MacDonald Rockwell & MacDonald Funeral Home at 270 Main St. Watertown Tuesday April 9, 2019, at 10 AM followed by Funeral Mass in the Church of St. Patrick, 212 Main St., Watertown at 11 AM. Relatives and friends kindly invited. Visiting hours Monday 3-7 PM.